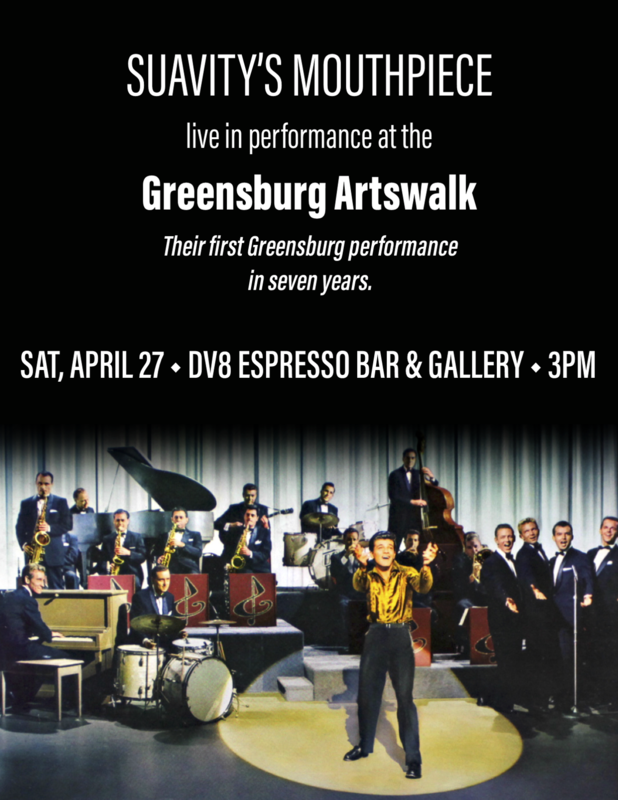 For the first time in seven years, Suavity’s Mouthpiece will return to Greensburg, PA to give a full band performance at the 2nd annual Greensburg Artswalk on Saturday, April 27. 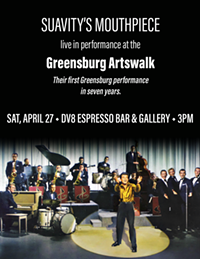 Suavity’s Mouthpiece will appear at DV8 Espresso Bar & Gallery on South Pennsylvania Ave for their Greensburg Artswalk performance. SM will take the stage at 3pm, following Greensburg jazz-folk fusion group Loosely Defined and Pittsburgh jazz group The Moment. SM’s first Pittsburgh-label album The Nuance of Suavity’s Mouthpiece (2012) and the Pittsburgh Fashion Week exclusive EP Benefits Odder Pennsylvanians (2012) were recorded in Greensburg.